It is the “Rare” which is brought to the highest colony of Landrethun Ardre. 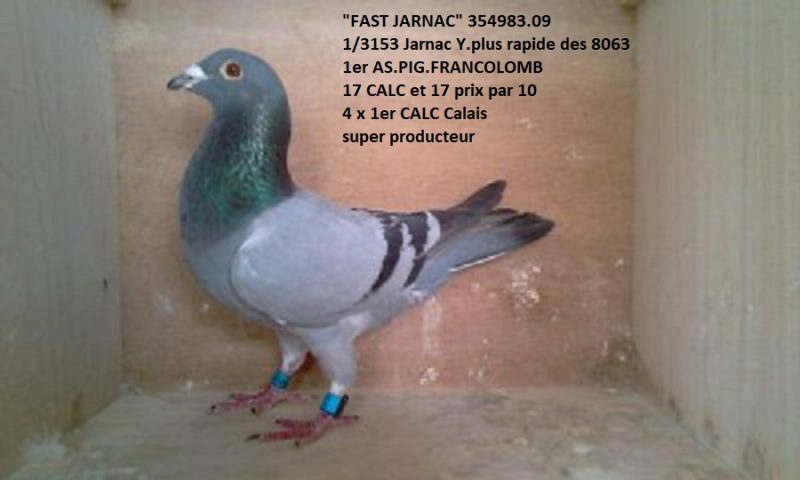 The “Rare” wins the very select Ace Pigeon Great Distance of the Francolomb Awards and wins the 4th Ace Pigeon National 500 / 750kms in 2018. Like Fast Jarnac and Jan, The “Rare” is a 100% Scheele Brothers. 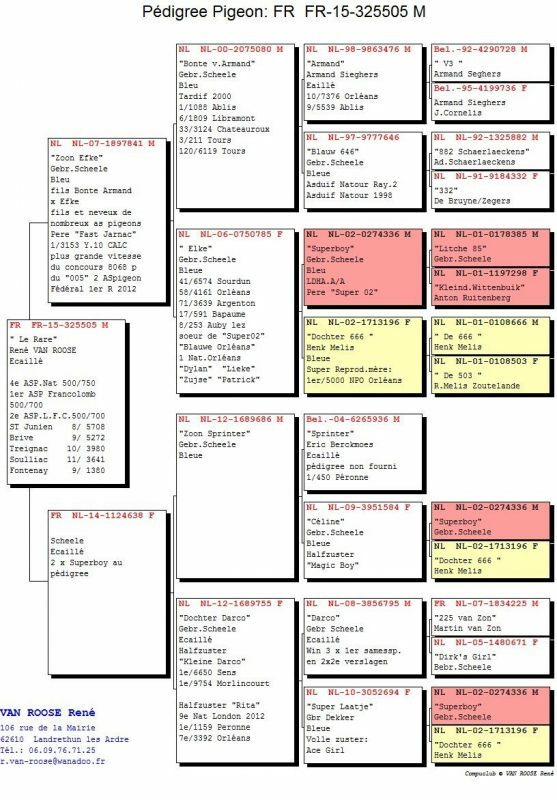 He is also a half brother of Fast Janac (same father). We thus find paternal side, the NL-2007-1897841, son of Bonte Armand (son of Armand) coupled with the Elke. The Elke comes from the super breeding pair of Brothers Scheele (Superboy x Dochter 666). 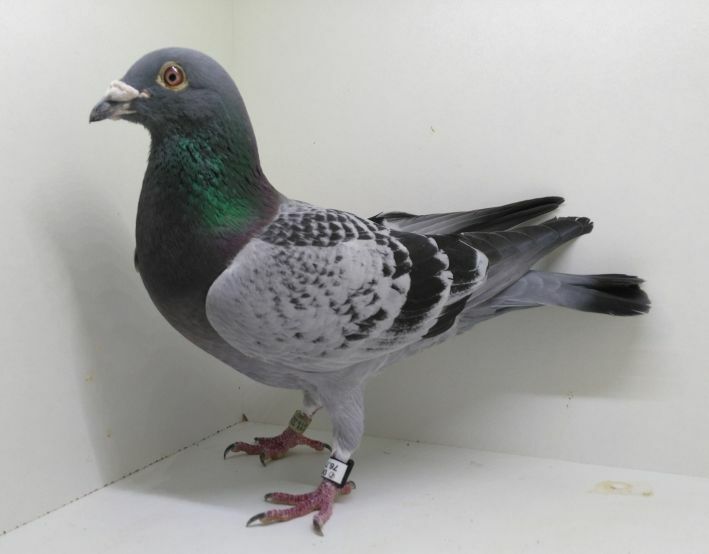 On the maternal side, it is a direct Scheele Brothers inbred Superboy (father and grandfather of many pigeon cracks at the Scheele Brothers). René thus has a solid base with these Scheele breeders allowing him year after year to produce Ace pigeons for racess from 450 to 700kms. So you can still count on him in this season to truster the first places in semi-national competitions.